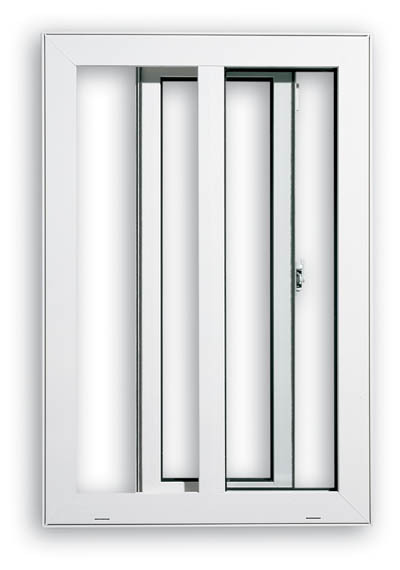 Single hung/single slider windows each have two sashes, one fixed (non-moving) and one operating. Single hung windows operate by lifting or sliding the bottom sash up, while single slider windows have one sash that slides horizontally. Single hung windows utilize spiral balance hardware for easy operation up or down and have the ability to stay open in any position.